Over 29 years of dedication to providing successful innovative solutions for supply chain challenges. Since 1989, ASC has been at the forefront of change, consistently providing innovative supply chain software solutions for complex supply chain challenges. As a privately-held American-owned company, we are unique in our industry for providing solutions that are made, tested, and supported in the USA. The products we provide are consistently rated and awarded as some of the best in the industry, unsurpassed for price and performance. But we don’t just offer you software — we offer you our years of experience and knowledge - a true partnership for success! We know in today’s economy that you simply cannot risk investing in supply chain solutions that don’t work, so we put you and your needs at the top of our priority list. Learn more about ASC and discover our true dedication to providing innovation that will lead you in the right direction — to profitability, to efficiency, to success. Our proven off-the-shelf software keeps your total costs lower. We partner with you to ensure your success! Over 29 years as industry leaders, creating affordable and adaptable end-to-end supply chain solutions for companies of all sizes and complexity. Our customers utilize ASCTrac® WMS for their mission-critical distribution and manufacturing operations for 100% perfect order shipments. ConAgra Foods, Nestle, General Mills, Dean Foods, Victoria's Secret, Federal Express, Saputo Dairy Foods, Prairie Farms, Caldic Canada, Exel Logistics (3PL), Coca-Cola, PepsiCo, Kimberly Clark Medical, AmerisourceBergen, SmithKline Beecham, Quest Diagnostics, Zoll Medical, CCB Packaging (3PL), WDDC Canada, Greater Boston Food Bank, US DOD, US Patent Office, Integracore (3PL), Celadon Trucking, Chrysler, Ford, Honda, Behr, Allied Signal, FGS (3PL), Cargill, Consumers Energy, BMS Logistics (3PL), Philips Magnavox, Universal Studios, Belashi Beer, 5-Hour Energy, Supermercados Econo, ZF International, Taurus International, V&V Supremo, Cabot Creamery, DCG One (3PL), Allen Distribution (3PL), Children’s Hospital, Colonial Electric, Fisher Controls, Houdini/Wine Country Gift Baskets, Niagara Conservation, North Dakota Mill & Elevator, The Scotts Company, Standard Register, Winston Salem Industries for the Blind, and many other small to medium size companies. Contact us if you wish to learn more about utilizing us as your competitive advantage for your supply chain and manufacturing. ASC respects the trademarks of each of our customers, therefore we do not publish our customers' logos on our web site. "Warehouses play a pivotal role in maintaining the equilibrium between supply and demand. In the wake of robust growth rates witnessed by sectors such as e-commerce, logistics, and 3PL, businesses feel the need to revamp their warehousing processes. In such a situation, managing warehouses with manual, legacy methods is cumbersome and error-prone. This accentuates the necessity for intelligent warehouse management systems (WMS) that ensure coordination and efficiency in the supply chain. Technology companies catering to the needs of warehouse management are making rapid strides in developing feature- rich WMS solutions, both on-premises as well as cloud­ based. Advanced WMS solutions significantly simplify the warehouse management tasks. Comprehensive WMS suites that can integrate with logistics, 3PL management, and ERP systems ensure smooth flow of information at every level of the supply chain, enabling real-time tracking of delivery status along with better management of resources and data. 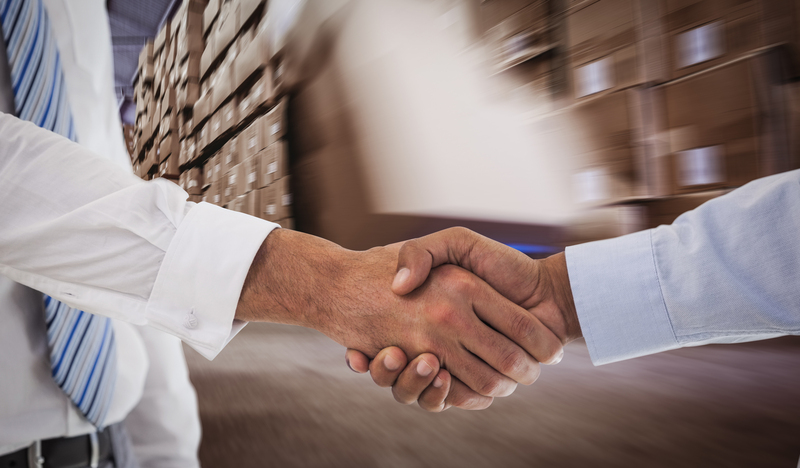 Given the pressing need	for automated inventory management and the range of benefits that WMS solutions bring, business leaders are looking for solutions that integrate well with their existing back-office systems to enable seamless supply chain operations. In order to help the C-suite zero in on the apt WMS solution, a distinguished panel comprising CIOs, CEOs, CTOs, analysts, and logistics Tech Outlook's editorial board has evaluated companies that provide immense value to clients in the WMS arena. The selected firms demonstrate an outstanding ability to innovate and customize their solutions to suit clients' requirements. 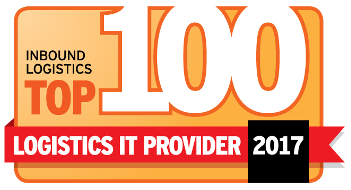 In this edition of Logistics Tech Outlook, we present to you the Top 10 Warehouse Management Solution Providers - 2018." ASC Software is unique in our industry for providing supply chain (distribution and manufacturing) solutions that are designed, developed, tested, and supported right here in the U.S.A. Our U.S.-based support team is ready to help you when you need us! Some of the world’s largest companies rely on us to solve their most complex supply chain challenges, and your success is very important to us. Supporting the communities where we live and work and raise our families is important to us. That’s why ASC supports food banks, medical research, schools, and community organizations and always has, ever since our beginning. Want to help us help others? Your help goes a long way in the lives of those in need. Give us a call to find out more about our program offering special incentives for our customers who provide donations to food banks.